A quick Google search for “best acne products” is almost guaranteed to produce several hits recommending Differin for acne. It has become incredibly popular in the last few years as the first topical retinoid treatment available over-the-counter. But what exactly are retinoids, and how do they treat acne? And why is Differin allowed to be sold without a prescription? We’ve done the research to find answers to all these questions and more. There’s also a brief question and answer section at the end of the article to address some of the questions we encountered the most during our research. Differin for acne can help clear pores and keep skin acne-free. Differin is sort of like Kleenex or Chap Stick. It is technically a brand name that represents one form of something. Kleenex is just a brand of facial tissues, and Chap Stick is just one kind of lip balm. Similarly, Differin is a particular brand of something called adapalene. Adapalene is a retinoid-like compound, which means it is similar to retinoids, but has a few key differences. So let’s start with retinoids, then explain the differences from there. Retinoids are a group of compounds derived from vitamin A that have been found to be very effective in treating acne. Online, there are two completely opposite explanations of how retinoids work: one is that they slow down skin cell turnover to prevent clogged pores, and the other is that they speed up cell turnover to prevent clogged pores. So which is true? In some ways, both explanations are correct, they’re just incomplete. What retinoids really do is alter the skin cells’ DNA to ensure that they complete their life cycle at a consistent pace. This is called desquamation of the follicular epithelium, and in many cases, people with acne have somewhat irregular desquamation. This could cause skin cells to be created quickly, but die slowly, or be created slowly and die far too quickly, both of which can leave pores clogged with dead skin cells. Retinoids adjust abnormal patterns in the life cycle of skin cells so they are produced and die at normal, non-pore-clogging intervals. As a retinoid-like compound, Differin does not act exactly the same as other retinoids, although the general premise remains the same. It still evens out skin cell production and death, but it is not water soluble, meaning only a miniscule amount is absorbed into the bloodstream, and it is not as harsh on the skin as retinoids. Looking at the big picture, there are hundreds of reasons for acne. Dry skin, oily skin, stress, puberty, aging, even genetics play a role, researchers are learning. But when you get down to the skin level, there are four main causes: inflammation, bacteria, oil production, and skin cell turnover. For some people, one or two of these causes might dominate, but for most of us, all four of these factors come together to generate breakouts. Let’s take a look at inflammation, bacteria, and oil production; we’ll address skin cell turnover in the next section. The first step in a breakout is inflammation. Even blackheads and whiteheads, typically referred to as “non-inflamed” acne are the result of minor inflammation. This could occur because the skin has been irritated by something, like picking at the skin or a bad sunburn, or it could occur because of stress. 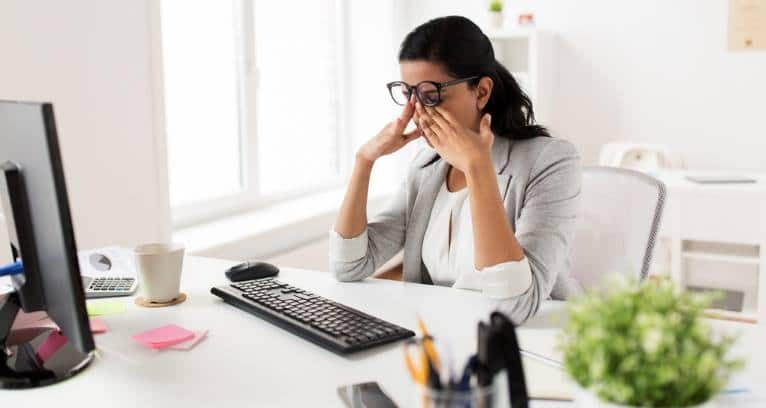 When you’re stressed out, certain hormones like cortisol can trigger the inflammation response to protect your body from the perceived threat. You know that your upcoming presentation won’t physically harm you, but the stress response in your body doesn’t differentiate between social/emotional harm and physical harm. It just tries to protect the body. Stress can trigger your body’s inflammation response, causing increased acne. Oil production and bacteria combine to make up step two on the road toward acne. Once the skin is inflamed, even slightly, the pores start to close, causing whatever is on the surface of the skin to get trapped in the pores or even beneath the skin. Your skin is always producing oil (also known as sebum) to keep your skin from drying out and to protect it from external irritants, and your skin always hosts a certain amount of acne-causing bacteria called p. acnes. If you don’t have particularly oily skin, this isn’t a problem. In fact, p. acnes consume sebum as a food source, so they can actually help prevent oil buildup. However, when sebum and bacteria get trapped in a pore due to inflammation, blackheads, whiteheads, pimples, or even cysts are the result. Sebum and bacteria can definitely clog pores and lead to acne, but pores can also get clogged by skin cells, and as we discussed before, that’s the kind that Differin is especially helpful with. Consistent cell turnover helps prevent clogs because it keeps the process moving. If lots of skin cells are produced and then they live longer than normal, they get stuck in the pore. Even though new cells are being created, the old ones won’t shed because they’re still growing. If skin cells are produced normally, but die abnormally fast, then those cells block pores too. The dead skin cells are free to be shed, but there aren’t enough new skin cells to replace them. In both scenarios, it’s not the amount of skin cells that is causing the issue, it’s abnormalities in the life cycle. The reason Differin for acne works is because it regulates these abnormalities and keeps pores clear. Sebum and bacteria could still pose a problem, but stable skin cell turnover can help prevent their influence as well. It’s harder for sebum and bacteria to buildup in a pore if it is producing and shedding skin cells at a consistent rate. Retinoids are one of the most popular acne treatments available right now. But until recently, they were only available as a prescription. In July of 2016, Differin became the first retinoid you could buy over-the-counter. It was popular long before that time, but it was only available through prescription. But why does it matter if a product is available over-the-counter or through prescription only, if it’s the same thing? The biggest difference is accessibility. Acne affects everyone, regardless of wealth, but if you have the money to see a dermatologist and get prescription acne medication, your acne is more likely to improve than if you do not have the money to properly treat acne. Studies have shown that even though acne is an incredibly common skin condition, it can have profound psychological effects. According to the American Academy of Dermatology, acne can contribute to serious mental health concerns, like depression, anxiety, poor self-image, and eating disorders. Everyone deserves access to adequate healthcare, regardless of income, and because acne can have such a profound effect on mental health, it is important to treat it seriously. Products that are available over-the-counter are almost always cheaper, especially because they don’t require a visit to a dermatologist’s office, so they are available to more people. One warning we do want to mention about Differin and all retinoids, prescription or over-the-counter: make sure the gel or cream comes in a sealed tube, rather than an open or clear container. Exposure to sunlight destabilizes the vitamin A, making it much less effective. The biggest advantage Differin for acne has over other retinoids is the side effects. For example, isotretinoin, a retinoid otherwise known as Accutane, has been proven to clear cystic acne, but its side effects are substantial and may be long-lasting. It can have psychiatric effects, such as serious mood swings, unusual aggression, or even suicidal ideation or behaviors. It can affect the heart, the bones, and it can even cause serious skin conditions like Stevens-Johnson syndrome. It is also a Category X drug, meaning it is proven to cause significant birth defects in humans, so it cannot be taken while pregnant, and women capable of getting pregnant must sign a contract saying they will use two forms of birth control while taking isotretinoin. It is a very serious medication, and because it is water soluble, it’s absorbed into the bloodstream. This is a problem because it can cause systemic issues throughout the whole body, and it may stay in the body longer than intended due to accumulation over time. Isotretinoin is the most serious example of how retinoids can negatively affect the body, but other retinoids, like Retin-A or Tazorac, can have similar effects. Using Differin for acne is definitely safer. Its main side effects are different forms of skin irritation, including scaling, dry skin, or slight inflammation. Although these are not desirable effects for an acne treatment, since they all make the skin more prone to further acne, they are significantly less severe than the side effects associated with other retinoids, which often come with the possibility for these side effects as well. Unlike other retinoids, the side effects of Differin often subside after the first week or two of treatment. Differin for acne is generally considered safer than many other retinoids, but that safety comes at a cost: it is less effective in treating inflammatory acne. Differin alone is most effective against blackheads and whiteheads, but if your acne is primarily pimples, cysts, or nodules, you may find that Differin is not enough to meet your needs. However, that doesn’t mean your only options are other retinoids, laden with unwanted side effects. The FDA (Food and Drug Administration department of the United States government) approved Epiduo gel in 2008, then in 2013 they approved Epiduo Forte gel. These products combine adapalene, the generic name for Differin, with benzoyl peroxide, a very popular acne treatment option available over-the-counter or as a prescription. Benzoyl peroxide brings oxygen below the surface of the skin, effectively killing 99% of p. acnes bacteria, which are anaerobic and cannot survive too much exposure to oxygen. This makes it the perfect addition to Differin for acne treatment. Differin clears the pores, but it cannot kill bacteria that may find their way in, or get trapped by inflammation. Many people see success using only Differin for acne, but if you tend to have more pimples or other inflamed acne, p. acnes are likely causing problems for you, and you could benefit from benzoyl peroxide. You could buy Differin and a separate benzoyl peroxide product; that is by far the cheaper option. Epiduo and Epiduo Forte are both prescription medications, and before insurance they can cost several hundred dollars. Still, if you have good health insurance, some studies have found that a combination product of adapalene and benzoyl peroxide is more effective than using the two ingredients as separate products. Treating acne can be a long and difficult process, and when your skin is finally clear, it’s often hard to deal with the scars that are left behind. It might not be the “clear skin” you were envisioning, and acne scars can be difficult to treat. The nice thing about using Differin for acne is that you can also use it to reduce acne scars. Differin can help with acne scars that are slightly indented into the skin, and it can help with post-inflammatory hyperpigmentation, PIH, or simply hyperpigmentation. Indented scars are exactly what they sound like: small, shallow pock marks in the skin. These are usually the result of pimples or cysts, inflamed acne that grew deeper into the skin. Hyperpigmentation is a result of the skin’s wound healing process, which involves sending melanin to the site of the injury. Acne is technically a kind of wound, so melanin can build up and leave a dark spot, even after acne is gone. Although all skin colors are likely to get hyperpigmentation, the dark spots tend to last longer in dark skin tones or skin of color. Because of this, you might assume that skin lightening products, or products meant to even out skin tone are made with dark skin in mind, but most of those products can actually make PIH worse in dark skin. Some lighteners can create light spots, and others can turn dark spots darker, or give them a purple shade. Differin can safely reduce the visibility of acne scars for all skin tones, without the risk of any further discoloration. This is mostly due to how retinoids regulate the life cycle of skin cells. By promoting cell turnover, they can prevent or reduce excessive scar tissue or hyperpigmented tissue. Sometimes Differin is prescribed or suggested along with the use of topical clindamycin, an antibiotic, because it can increase the efficacy of the clindamycin. Studies show that applying Differin gel 5 minutes before applying topical clindamycin gel can make the clindamycin more effective and kill more p. acnes bacteria. Unfortunately, this isn’t as exciting as it may sound. Antibiotics used to be one of the most popular acne treatments, especially for cystic acne. They are still prescribed today, but research shows that they are less effective than they used to be, and they may not have been overly useful to begin with. Antibiotics can only be taken for a short amount of time, around 3 months at the most. Then they have to be discontinued, so even if they do help improve acne, they are a temporary solution. The reason antibiotics can’t be used indefinitely is due to something called antibiotic resistance. This is when a bacterium, through a random mutation, is not affected by the antibiotic. When it reproduces, its offspring will also not be affected, and because p. acnes reproduce every 20 minutes or so, this number of resistant bacteria can grow very quickly. Bacterium can also spread their resistance mutation by simply coming into physical contact with another bacterium, so once one bacterium becomes resistant to an antibiotic, the whole colony can quickly follow suit. Many antibiotics are chemically similar, so when bacteria become resistant to one, they often become resistance to several, and antibiotic resistant bacteria can be spread from person to person. This isn’t a huge deal when it comes to acne, but doctors are growing increasingly worried about antibiotic resistance as a whole. More and more illnesses are becoming more difficult to treat due to a lack of effective antibiotics. Because of this, Differin’s ability to boost clindamycin’s effects is not necessarily its best selling point. Although Differin is an excellent acne treatment, it can’t do all of the work. To effectively reduce acne and keep your skin healthy, you’ll need a gentle facewash as well. We recommend Exposed Skincare’s salicylic acid facial cleanser. It uses a low concentration of salicylic acid to gently exfoliate the skin, clearing away excess sebum or dead skin cells so the Differin has direct access to the pores. Q. Is it safe to use Differin for acne while pregnant? A. If you’re wondering if a product is safe to use during pregnancy, you should always ask your doctor. Whether or not Differin is safe depends on what kind you’re using. Prescription Differin (adapalene gel 0.3%) is classified as a Category C drug, and it has been proven to cause birth defects in rats and other test animals, but there are no adequate studies in humans. 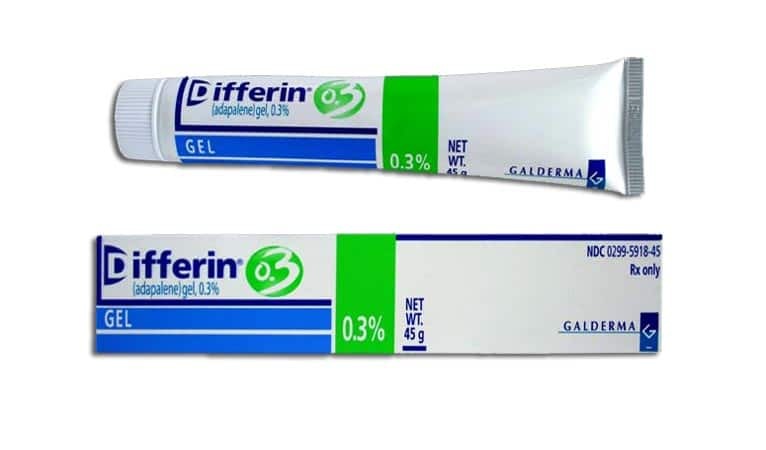 Differin gel at 0.3% is now available over-the-counter, and has similar warnings, also classified as Category C. There aren’t adequate human studies, but it has not proven to cause birth defects in test animals. Q. Can Differin help with cystic acne? A. Retinoids are best known for their effectiveness in treating cystic acne, especially isotretinoin and tretinoin. Differin belongs to the same group, but it is a retinoid-like compound, rather than an actual retinoid. This makes it gentler, and slightly less effective when treating cystic acne. However, when Differin 0.3% is combined with benzoyl peroxide 2.5% into one solution (brand name Epiduo Forte), studies show that it can be very effective in treating cystic acne. Q. Are there other brands of adapalene? A. Differin for acne is by far the most popular adapalene option as of 2018, because it is relatively cheap but still effective. However, there are a few other options. Many pharmacies offer a generic option of adapalene in either 0.1% or 0.3%. In 2017 Proactiv came out with their new line of products, ProactivMD, which includes an adapalene gel as its third step. At the time of this article’s writing, Differin, generic, and ProactivMD are the only FDA approved options for over-the-counter adapalene gel. If you’re comfortable with a prescription option, Epiduo and Epiduo Forte are good choices that include adapalene, but they are combined with benzoyl peroxide. There are similar products that combine adapalene and clindamycin, like Clindap-T.